Recently my MIL, Judy, and I went shopping at IKEA for a television console. We went with a very specific idea in our heads…. mainly because IKEA is a dangerous place! If you don’t go in with a plan you will leave with half the store!Anyway, we were looking around the television cabinet section and nothing was quite exactly what we wanted. There were lots of pieces that were *really* close, but we were being picky. Then we turned the corner and made a realization…. all of the pieces we were looking at were part of a “customize your own” cabinet center. And then….. we were overwhelmed! We spent the next 2 hours in the “”customize your own” cabinet section. Always on the lookout for how to use math in the real world, I started calculating possibilities…. and then I realized that the possibilities were ABSOLUTELY INFINITE! There was nothing stopping how many pieces we bought, or how many ways we added in doors…. and then we really were – OVERWHELMED. We decided to start narrowing down some choices by choosing which color the stand would be. We had narrowed it down to Black or White when we noticed all the black pieces were currently out of stock. Seeing as though we drove a pretty decent amount to get to the store, we decided to go with white so that we could take the pieces home that day and start building the creation. The next choice we made was which frame to choose. There were 18 to choose from. Thankfully, based on the dimensions we needed, we were able to narrow down the frame pretty quickly. The next choice was not quite as simple…. After choosing the frames we turned around and realized the door decision would not be quite as easy. At first we wanted the really fun teal doors – they would have been perfect in the living room, but they were back ordered, so we started brainstorming again. Did we want full doors? half doors? 2/3 doors? Did we want the doors to be solid? have glass in them? TOO MANY OPTIONS! At this point, the nice IKEA lady realized she should probably stepped in…. and she showed up THIS! The FURNITURE PLANNER!!! The computer kiosk was such a cool way to plan. You could grab any frame and add doors, feet, sheleves, etc to it to see what it would look like. This was super helpful! While IKEA had a ton of examples on the floor, it just wasn’t possible for them to have them all. After playing with the program for a bit, we took a break, and went back to look at pieces for inspirations. While the program was awesome, you almost needed to know what you wanted to add before pulling up pieces. We ended finding this piece and thinking it could work. So we started with it as the base and then changed out the doors to find what worked best for the room. Side note: One of the really cool things about IKEA is that they print out what each of their combinations is “made of”. Here you can see the specific combination of pieces that created the black cabinet above. After playing around with the program, we finally settled on the perfect pairing! We just wanted to look at handles and feet before making our way out of the showroom. We opted for solid, chunky feet and no handles. A few hours later (you can’t go to IKEA and NOT spend hours!) we ended up in the warehouse! I wish I had taken more pictures here. The warehouse is laid out in aisles and pods. Each piece of furniture requires you to go to multiple places (almost like cooridinates!) to pick up each individual piece – the frame, the door, the feet… etc. We finally made it out of IKEA and headed home to start assembling! That was a whole load of mathematics in and of it self! We were too busy assembling to snag any pictures of the process. Just know there was tons of measuring, making the pieces flush, creating right angles, etc. 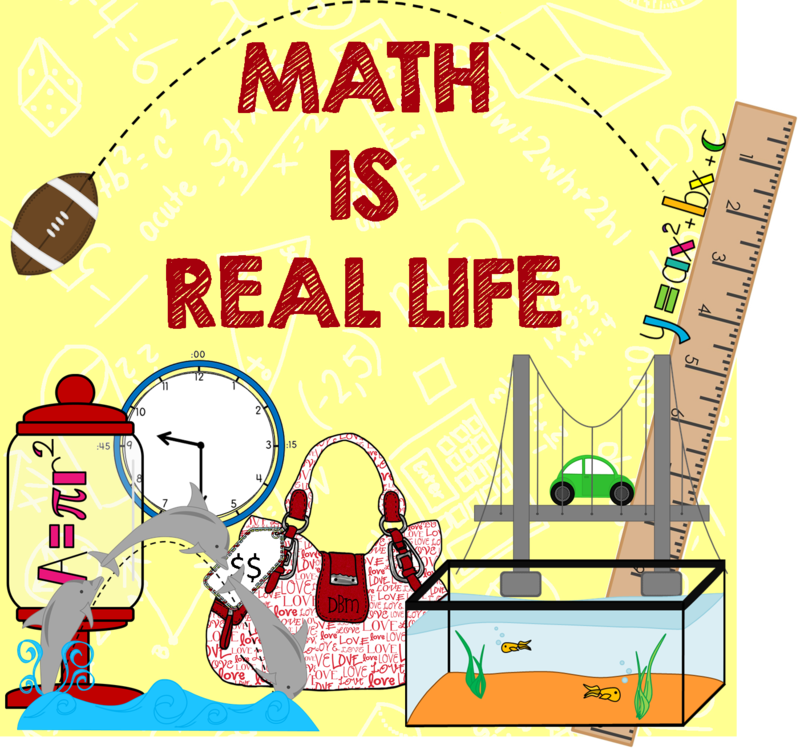 Categories: #mirl, computation and estimation, geometry and measurement, math is real life, mathematical reasoning, and mental math. It would be cool to make a problem with all the information needed for students to see just how many different combinations you could have gotten your tv console. This way students could learn just how easy it is to mathematically find out how many combinations you had available to you.